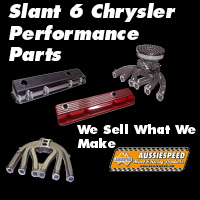 Below are a bunch of videos of us and from customers who are using Aussiespeed Performance Products, We would like to thank our customers for taking the time to take, edit and upload there videos. If you would like to see your video up on the Aussiespeed Performance Products video page please go to our contact page and send through the link and some details about your car, kart, mini bike or project.. There are many hours spent developing new products, one of the most rewarding thing is when we get to do product testing its the best parts of developing new products. The gokart with the camera is a World Formula powered Aussiespeed dirt outlaw kart it was filmed with a hand held Apple Iphone. This video shows how versatile the Briggs & Stratton Animal engine is. The engine is the Junior 206 Animal engine that comes supplied with a long throttle side and 4100 rpm rev limited PVL ignition module. The engine has now been upgraded to a short throttle slide and the 12000 rpm module there are not to many engines that can be upgraded without opening up the engine. This video shows just how much punishment the 6 inch dirt tyres we sell take. 202 powered FC Holden, the owner of the car wanted his car to still perform close to the 4 barrel, big solid cam and the nitous set when the car ran 11 second quarter miles and to do those numbers with full street trim the 202 reliability and crusin with the kids can be a problem with over heating the engine and trans due to the small torque convertor. The answer was go back to a hydralic cam larger convertor and fitting up an Aussiespeed supercharger kit. This early Holden wagon got the full dress up treatment including alloy rocker cover and H holdown bolts, alloy Aussiespeed air cleaners, finned cast iron twin Aussiespeed exhaust headers plus one of the most challenging products we ever developed the finned aluminum side plate for the Holden grey motor. Aussiespeed 225 slant 6 super charger kit. This car was run on the dyno and produced just on 90 horse power at the rear wheels. The old Valiant ute was fitted with an Aussiespeed slant 6 supercharger kit that includes a 1.5L radial intake blower, 600 holley double pumper and a set of AS0198 Aussiespeed 1 5/8 headers and a modified distributor to get a better advance curve to work with the boost. The results from the super charged 225 slant six with the blower was over double the torque and a 70% increase in horse power. This run was with fresh fuel and re-set ignition curv. Naturally aspirated was 91.6 HP and 228.9 ft-lb at the wheels. Supercharged 10psi is 163.5 HP and 473.9 ft-lb at the wheels. Supercharged Holden 202 on superflow engine dyno. A few years back we worked in with a father and son from Qld who raced saloon cars. They always had problems with inlet manifolds and the distribution of air and fuel. They had tried to run on larger tracks like Mackay in Queensland and when it came to long races they would have problems with lean out and normally result in head gasket failure or worse major engine damage. 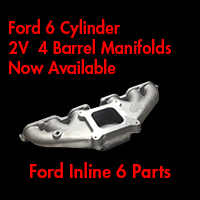 The AS0015 Aussiespeed alloy head Ford Crossflow manifold even though it is only a 2 barrel it is designed for upper RPM power and if you watch the Video you will see the yellow Cortina of Adam Jorgensen sounds very crisp and responsive. Adams dad Graeme now has moved up from a Cortina to a V8 Falcon that is the blue car in the video.